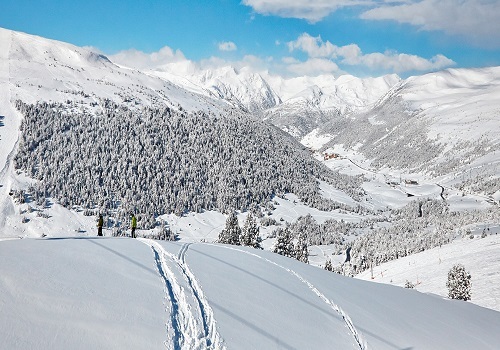 SkiAndorraHolidays.com is part of the Travel Buddy Group S.L which has been offering flexible, bespoke holidays since 2005. Our expert team in Andorra have many years experience of working in the resort, and know exactly how to help you get the most out of your holiday. When you book with us, you’ve got the choice of putting together your own flexible holiday, or sitting back and relaxing while we take care of it all. If you book with a large tour operator you’ll normally be restricted to a very limited number of ski schools or equipment rental shops, but with SkiAndorraHolidays.com you can create your own holiday from a wide choice of accommodation, transfer, ski pass and equipment options, ski schools and après ski, all of which are available on our site. The options you choose are up to you, but you can be confident you’ll still receive the same high level of service before, during and after your holiday. All our team have backgrounds with tour operators, and are experienced in dealing with a wide range of different situations. At SkiAndorraHolidays.com, our focus is on customer service so you can feel confident that you’re not just booking a holiday, you’ve also got all the support, advice and help you need from our in-resort team to help you enjoy your break. We’ve worked in ski resorts in France, Italy, Norway and Austria but Andorra is a very special place, and we’re sure you’ll feel the same way about this too. We’re on hand to take through every step of your booking, should you need us. Once in the resort, we’re there to help you check in to your accommodation, then we’ll see you at the ski hire shop and the ski school to make sure everything runs smoothly. We’re also available in our Andorran office seven days a week if you need us, and we’re available by telephone 24 hours a day. Our head office for Travel Buddy is based in Mallorca where you can contact us on 0034 971 131663. You can also email us at info@skiandorraholidays.com.